I hope I am not speaking too soon, but this looks like a good one – Crawford-Indongo. With Indongo, the hope is that Terence Crawford (31-0, 22 KO) is actually challenged in the way that was expected from Viktor Postol. Unfortunately, Postol proved to be too slow and stiff for Crawford making him frozen for twelve rounds. The improvement that Julius Indongo (22-0, 11 KO) brings is that he is quicker and more powerful than Postol. With his height and reach advantage over Crawford, Indongo will want to establish his offense and use his offense as his defense as well. Punch output from Indongo will likely tell us everything, for if he is busy punching then Crawford probably is nowhere close to him. Crawford typically fights smaller opponents by moving forward, but we may see that Crawford prefers to counter Indongo as he did with Postol and Dulorme, both of whom had size advantages over Crawford. For Indongo is primarily offensive and he likes to lean in with his long strikes. 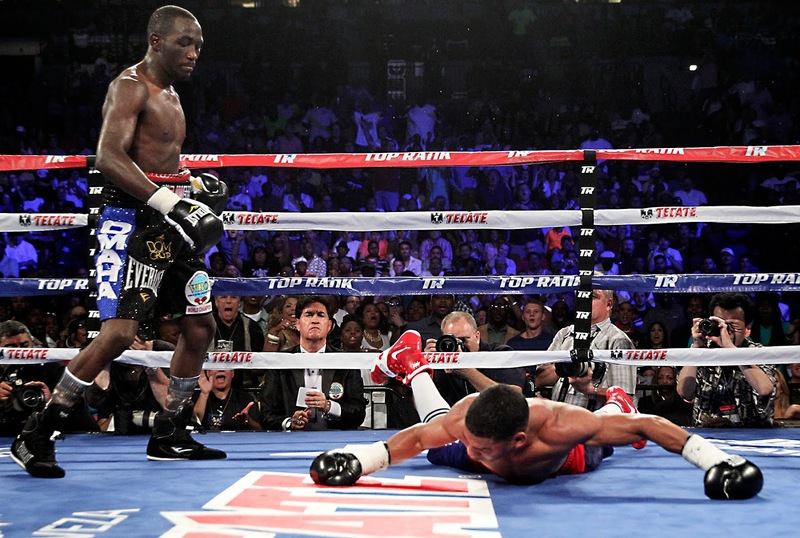 Over time, Crawford may begin to time Indongo’s long motions that leave him vulnerable. And since Indongo does not appear to be adept at fighting on the inside, because of his length, Crawford’s counters will give him the opportunity to move forward on Indongo. Indongo does, however, possess a good left uppercut. I give Crawford a better chance than usual of scoring a knockout, if he is not outboxed, due to my belief that Indongo may become helpless defensively if Crawford is able to get inside Indongo’s range and force him to move his feet more quickly than he is able to – Indongo will always be out of position. This is a unification bout for the claim of undisputed champion at 140 pounds. 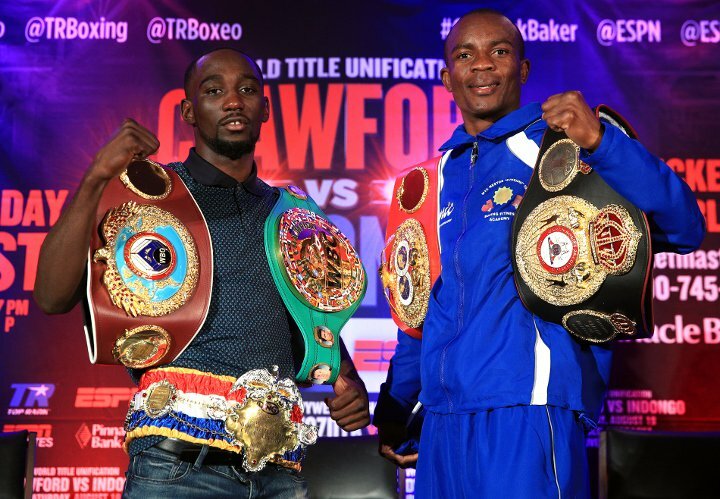 Crawford-Indongo will air Saturday, August 19 on ESPN in the US, and on Sky Sports in the UK.